Are Free Weights Better Than Strength Machines? If you are trying to get fit, build strength and increase your power you may wonder if you should use free weights or go to the resistance machines. While each can help you build strength, there are definite pros and cons for using each of these weight lifting methods. The following can help you determine what form of strength equipment is best for your needs. The most important component of any strength training program is safety. If you are new to strength training or if you are working out alone, variable resistance machines are your best bet. This way you can test your limits, but maintain safety and control without sacrificing your efforts. Strength machines can help you improve your form and efficiency. 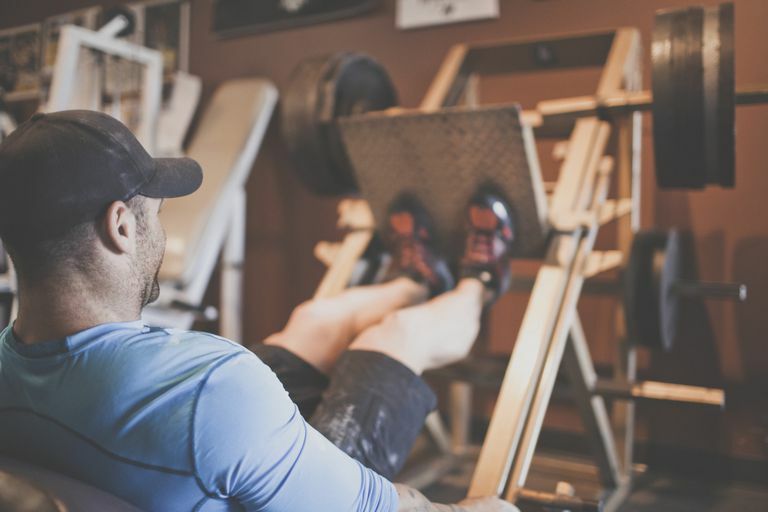 Machines are a viable option for serious weight trainers looking to push their limits on their own and are also good for weight training novices, senior citizens and recreational athletes. For rehabilitating injured athletes, variable resistance machines are preferred over free weights. This is because they provide a more controlled motion and specifically isolate certain muscle groups. Isolation is important because many physical therapy patients need to target certain areas to heal and strengthen after injury. Machines also allow the patient and therapist to track progress and provide objective feedback while increasing the protective participation of the healthy limb or muscle group. Research has shown us that free weights promote quicker strength gains than training on machines. This is due to the need for more balance and coordination that is needed when using weight machines. Free weights also recruit more muscle groups and more muscle fibers than variable resistance machines, which tend to only isolate specific muscles. Free weights are also more versatile than machines because they allow for more variations in the range of motion. Free weights require balance, and they tend to promote more activity of the joint stabilizer muscles. Finally, they are considerably less expensive than most of the machines on the market. You can perform a complete strength training routine with a few dumbbells, and a little imagination. Free weights require the help of a spotter in many cases and can result in more injuries than machines. With a machine, if you add too much weight, you can simply release the weight and the resistance in the machine will return the weight stack to its starting position. However, with free weights, you'd need a spotter to help if you take on too much weight. Careful instruction and training are necessary to master the art of free weight lifting on your own. Use a spotter whenever one is available. An ideal training program may incorporate both free weights and machines on alternating training days. In order to get the most from both muscle strength gains and joint stability, you can focus on free weights for some exercises and machines for others. The bottom line is that you should use the strength training equipment that suits your training needs, is safe, and is convenient. However, if you are comfortable using free weights you may see greater strength gains here than with machines. Spennewyn KC. Strength outcomes in fixed versus free-form resistance equipment. Journal of Strength and Conditioning Research. 2008;22:75.